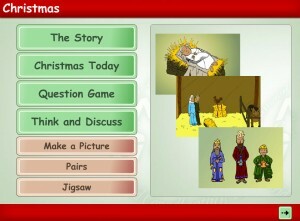 This Christmas Activity Pack has a range of classroom activities aimed at younger pupils. These materials focus around the story of the nativity and use black and white rebus symbols.There are stories, colouring sheets and puzzles. All resources are in .pdf format. 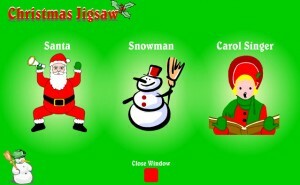 Three nice Christmas jigsaws – Santa, a Snowman and a Carol Singer – for pupils to complete. 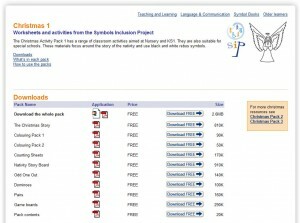 This would be especially suitable for working on an Interactive White Board (IWB). These are a series of lesson plans and resources from the Education World website to use in the classroom with this seasonal book. 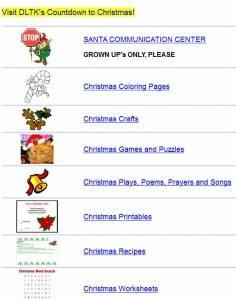 Lots of Christmas activities from the well-known DLTK website including Colouring Pages, Christmas Crafts, Games and Puzzles, Christmas Recipes, Worksheets and lots more. 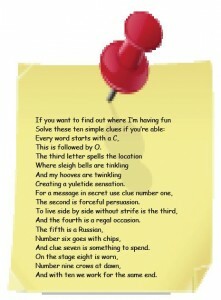 Fun puzzle activity where pupils have to work out, from clues given, where Rudolph is. 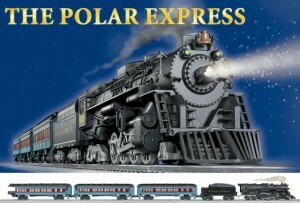 When Santa fell down the chimney, all his Christmas words got jumbled up. 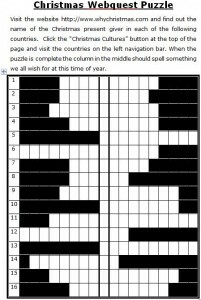 This worksheet requires pupils to unjumble the Christmas words. 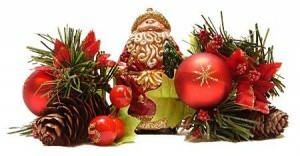 Visit the whychristmas website to search for the name of the Christmas present-giver in 16 different countries. Two other worksheets require the pupils to find the capitals and flags of the countries. Answers are provided. 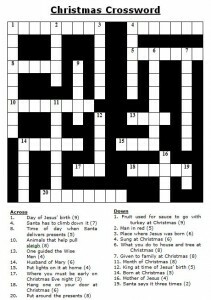 Crossword where all the clues are on a Christmas theme.